One of my weaving groups is going a collaborative project which began with the development of a communal color wheel out of scraps of paper during one of our monthly meetings. 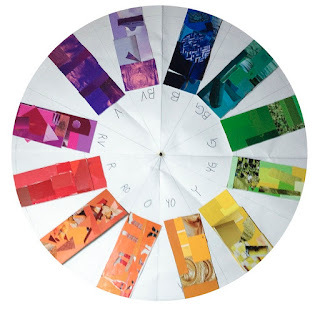 We all brought small pieces of paper in each of the 12 colors of the color wheel and sorted them out into the 12 piles of color. 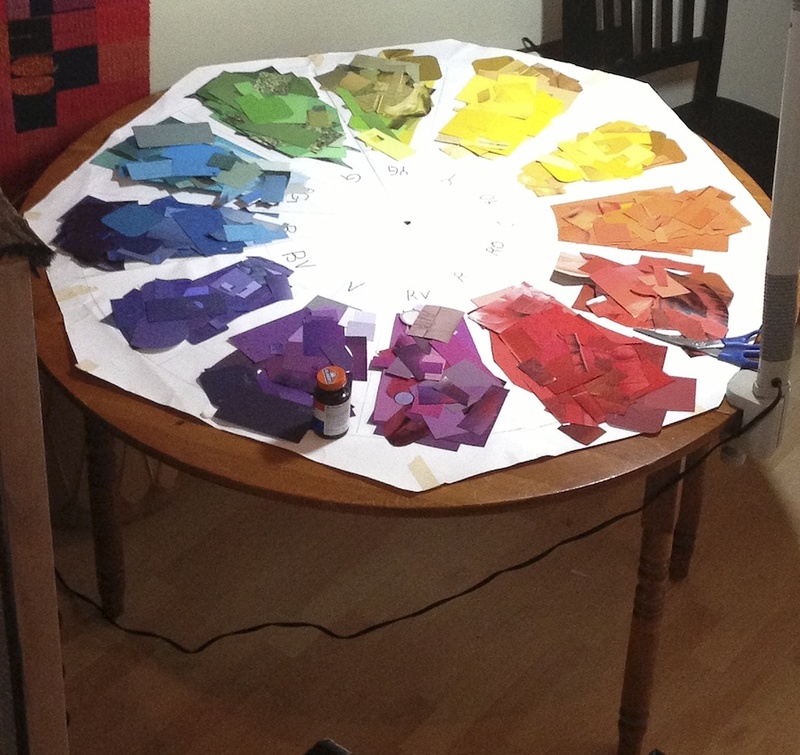 We had over 15 people there so there were a lot of scraps in a lot of different hues, shades, values and tints. Next we broke into small groups re-arranged the colors back and forth between piles until everyone was reasonably happy that the papers were in the correct piles by hue. 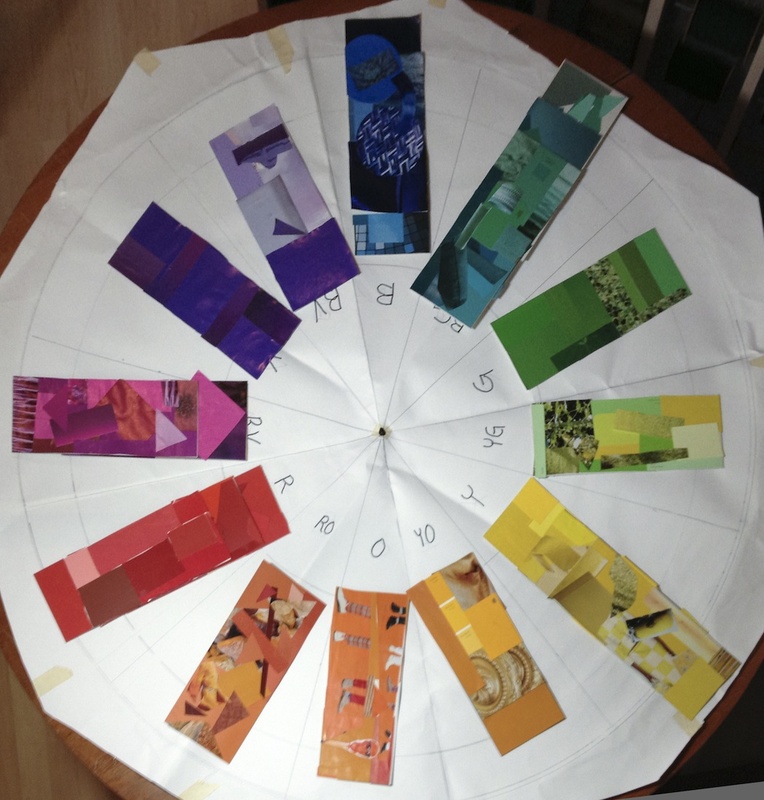 Next we made quick small collages in each color. Everyone could select what ever color segment they wanted; take whatever scraps from that segment that they wanted to use and glue them however they liked. Some colors were more popular than others and ended up having far more collages than others. Here are the collages in each of the twelve colors of our color wheel and the resulting color wheel accomplished in less than ninety minutes. with a little help from Photoshop. 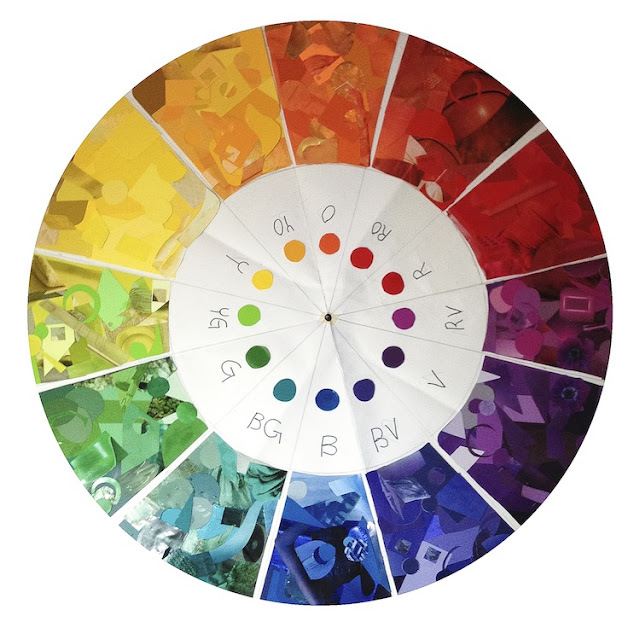 Here's the color wheel based on all our leftover scraps of paper. Brilliant! I will have to suggest this to my guild! Did you use very piece? There is no color that I don't love!